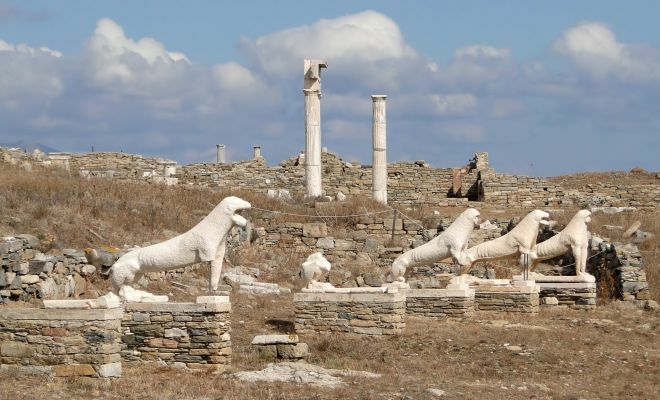 Mykonos, the queen of the Aegean and nearby Delos, Apollo's sacred island, a breath-taking open air museum and UNESCO World Heritage site. 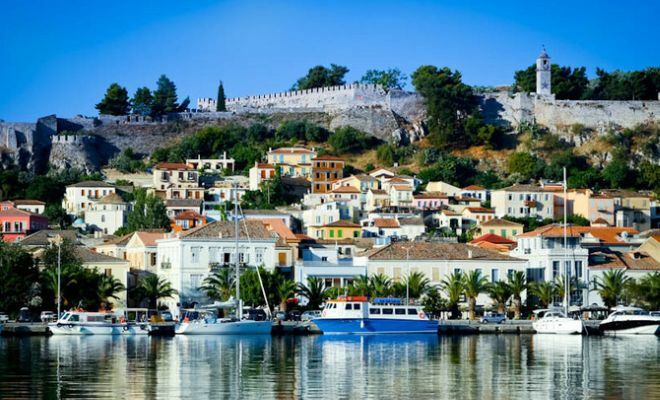 Hydra, a truly authentic, unknown island. 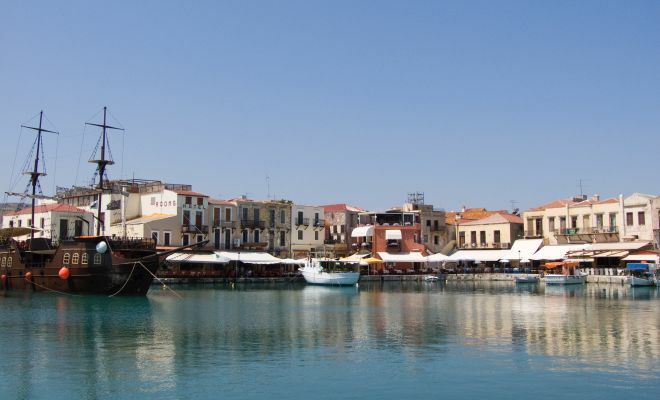 Crete, the largest island in Greece. The M/Y HARMONY G is a modern elegant yacht with a sleek high-tech look very similar to the private yachts to be found in the famous ports of the world. 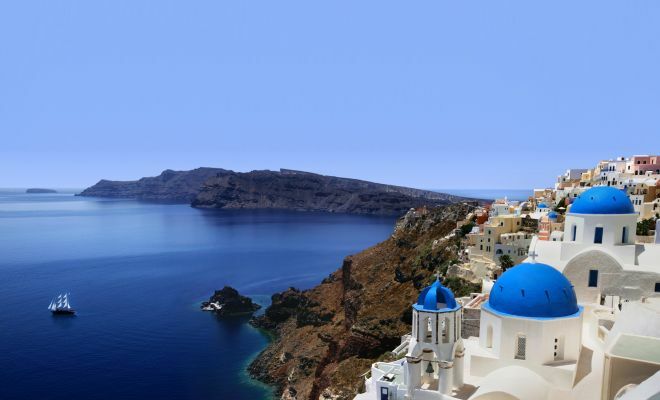 Service on board is provided by your Captain, the Cruise Coordinator and your experienced Marine and Hotel crew members. Service will be attentive or unobtrusive according to your requirements and priority is always given to the safety and comfort of passengers. 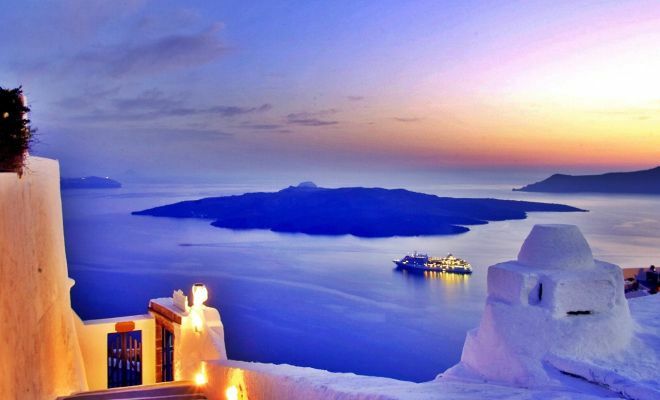 Organized excursions are available for most ports of call and can be pre-booked or reserved 24 hours in advance. 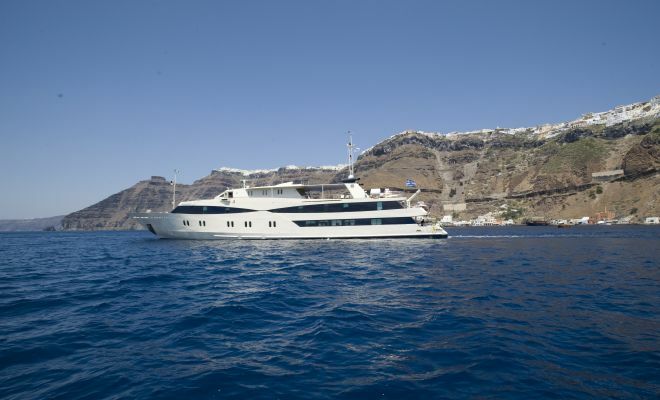 The 21 cabins of the M/Y HARMONY G are located on Upper Deck (4 cabins), on Main Deck (11 cabins) and on Lower Deck (6 cabins). They are upscale and intimate, decorated with soft color furnishing. 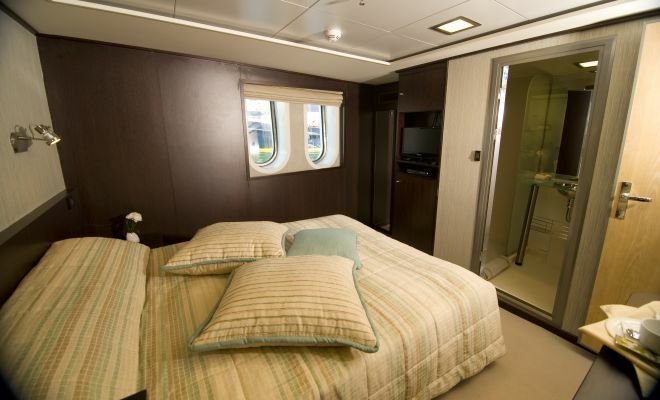 The cabins are equipped with twin or queen size beds, with two of the cabins being triples, and have large windows (two portholes on the Lower Deck). All cabins offer en suite bathrooms with shower, flat-screen TVs, CD/DVD players, music channels, mini fridges, hairdryers, individually controlled A/C and safe deposit boxes. 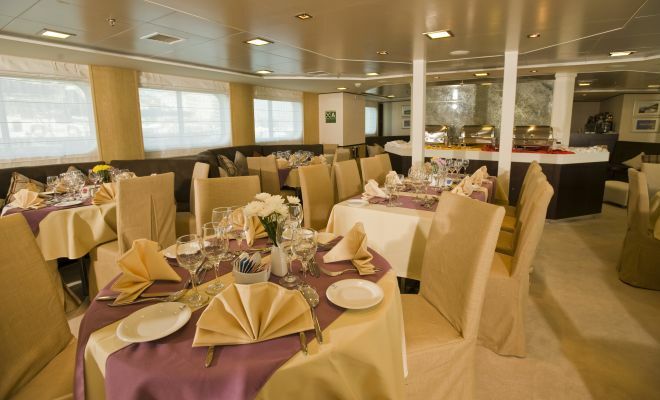 During the day, life on board centers around the Bar Lounge and Dining Room at the Main Deck and meals are also served “al fresco” depending on the weather. The Captain will drop anchor at secluded bays and beautiful uninhabited islands where, weather permitting, guests enjoy swimming, snorkeling, kayaking. The Mega Yacht accommodates all guests at one single seating and provide a high standard of cuisine, always with some local flavor. The interior lounge has relaxing couches and comfortable lounge chairs where you can have a drink and gaze out of the large windows into the breathtaking sceneries you are cruising to, read a book, watch television on the satellite TV or one of our documentaries on the next place you are visiting. Also located on the Upper Deck, the outdoor dining area provides beautiful views of the ports of call visited. 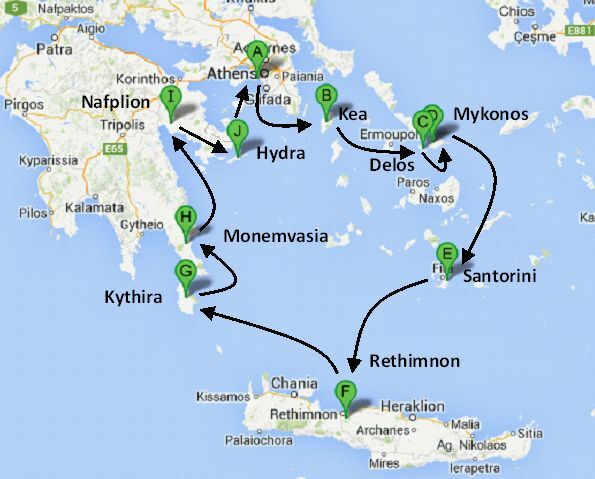 Optional tour to Mycenae, the powerful walled palace of Agamemnon, the Homeric Achaean king. Early afternoon departure for the island of Hydra. 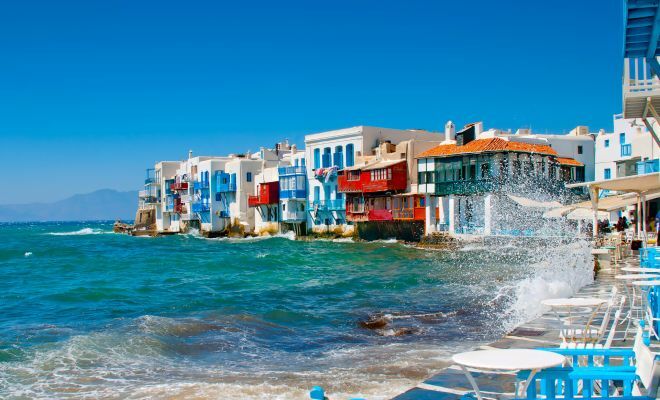 Time at leisure to explore this picturesque port town. Overnight in port.